At Bulldog, our Atlanta movers are here to help you make moving a breeze. We understand more than just about anyone that moving can be incredibly stressful, but we find that being adequately prepared for moving can help to lessen the inevitable stress. There’s so much on your mind regarding the move that you can feel as though you have the weight of the world on your shoulders. Also, you still have your family, daily tasks, and work to attend to. There are a few things you can do to help ease the pressures of moving and allow for a seamless move. Make sure that everything is packed up and nothing is left behind. Have both the keys to your new home and old home easily accessible. Stay energized and hydrated with snacks and bottled water. Don’t forget to take any medications that you take regularly, and leave these unpacked so you can remember to take them. When it comes time to actually move, you can trust the professionals at Bulldog Movers to complete your move in a timely manner while protecting all of your possessions with great care. 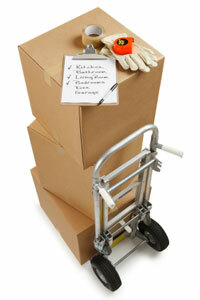 If you would like to find out more essential moving tips from our Atlanta movers, please call or e-mail Bulldog today. Our movers serve all Atlanta residents as well as residents of communities throughout Fulton, Cobb, Gwinnett, DeKalb, and all surrounding counties.